This strip is a reply to Level up: Shizzle, I Ladle, Wallace, Halfway to God!, Thank You My Friends !, Rock'n'Roll Sled, It's beginning to look a lot like Christmas, EXPERT, I am a GOTHIC, Won't You Help ?, I AM NOW A TRAVELER, Level Up!, The Best Artist Of Year, 100 bribed strips! !, Duke! One day I'd be a fetured artist ! 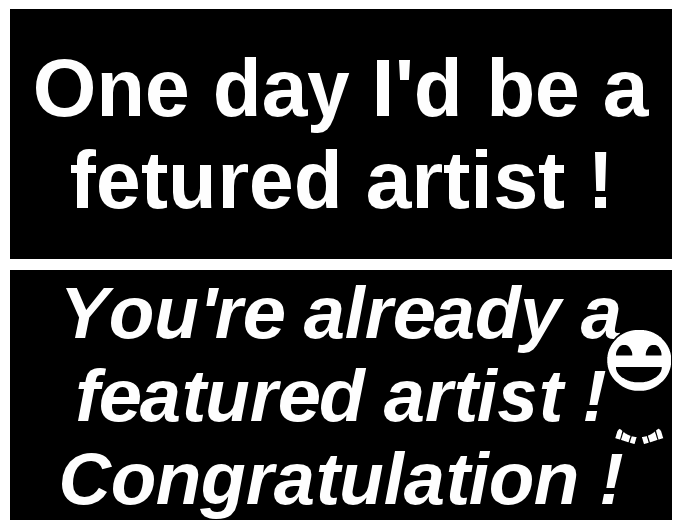 You're already a featured artist ! Pfft, I wont. BUT YOU ARE! GRATZ - I was FA and if someone wanna be FA, he musts just make lot of srtiprs !!!!!!!!! !